9ice is a multi-award-winning Nigerian musician known for his powerful use of the Yoruba language in his music as well as his versatility, proverbial lyrics and unique style of delivery. His lyrical abilities set him apart from most artists in his genre and in his opinion, this is what makes him 9ice. The MTV Awards agree with him as he was awarded the Best Hip Hop Artist at the MTV Africa Music Awards in 2008. Some of his most popular songs include “Little Money”, “Make Dem Talk” and “Gongo Aso”. 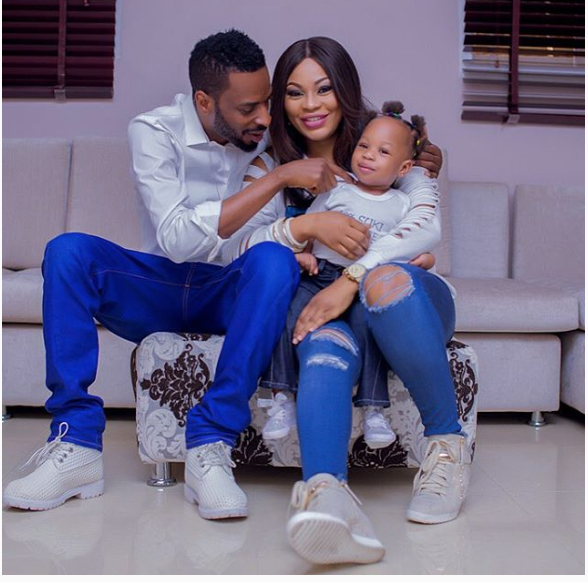 9ice was born Alexander Abolore Adegbola on the 17th of January, 1980 into a polygamous home of five wives and nine children. His family hails from Ogbomoso in Oyo State, South-West Nigeria. He, however, grew up in Bariga Lagos state. He attended Abule Okuta Primary School and then CMS Grammar School Bariga for his secondary education. After that, he got admission to study Law at the Lagos State University but later dropped out to concentrate on his music career. 9ice had begun writing songs and singing at the young age of fourteen. He was a big fan of Pasuma Wonder, and that led him to venture into the Fuji music genre. He derives his inspiration from his environment, and from the likes of Ebenezer Obey, King Sunny Adé, Tatalo Alamu, Late Alhaji Ayinla Omowura and also from Late Alhaji Haruna Ishola. After recording his first demo titled “Risi De Alagbaja” in 1996, 9ice joined a group called Mysterious Boys with whom he did a couple of tracks before going on to form his own defunct group called Abinibi. His first solo song “Little Money” which came four years later in 2000, gave him his first major break, as 9ice and his music started gaining recognition in the Nigerian music market. Not long after that, he did collaborations with different Nigerian artists which led to the release of another hit single titled Ganja Man. Ganja Man, which was released with other songs in March 2006, was produced by Id.Cabasa. 9ice later found his own record company called ALapomeji Records, releasing all his other albums under the label. The hit song “Gongo Aso,” from his sophomore album also titled Gongo Aso, became a major breakthrough for 9ice as it became a sort of national anthem sang at almost every occasion in the country at the time. Other tracks from the album include “Street Credibility,” “Party Rider,” “Pamurogo,” and “Photocopy” among others. He has further collaborated with many legendary Nigerian acts including Ruggedman, Lord of Ajasa 2Face Idibia, and many others. With his rise to stardom, 9ice has featured prominently across Nigerian campuses in the Soundcity/MTN Campus Blast tours, performing at the “Let’s Go There Tour With Ariya Entertainment” in New York, Los Angeles, Chicago, Houston, and Maryland in 2008. The 2007 to 2010 Star Mega Jam, and London Troxy in 2008 and 2010. He also performed at the Nelson Mandela 90th Birthday Tribute concert in London in 2008, singing his hit track “Gongo Aso” as the crowd went wild. He also headlined sold-out shows in the Netherlands and Malaysia in October 2010 to mark Nigeria’s 50 years independence anniversary. Also in 2010 9ice embarked on a European tour covering some parts of Italy, Spain, Switzerland, and Cyprus where many Nigerians where in attendance. In January 2014, 9ice announced plans to run for a political office in 2015 as a House of Representatives member representing the Ogbomoso North Constituency, Oyo state in the National Assembly. He contested for the seat under the umbrella of the APC but lost at the party primaries. In April 2015, the “Gongo Aso” singer was appointed a special adviser to the governor of Oyo state, Abiola Ajimobi. In July 2008, after 9ice was introduced to Toni Payne by a mutual friend, Ruggedman, the two got married. The marriage lasted for only two years with the musician announcing their separation. It was rumored that the marriage crashed due to infidelity with 9ice’s song, “Once Bitten”, claimed to be directed at his estranged wife’s perceived romance with Ruggedman. Those rumors were, however, debunked by both artists. He is now married to OlaSunkanmi Ajala with whom he has a daughter.